COMMISSIONER of Police Leslie James has described an investigation into former AFC Parliamentarian, Charrandass Persaud who voted to remove the coalition government from power as a “matter of national security”. The top cop said a press conference will be held when the investigations conclude. Charrandass last December 21 voted in favour of the opposition- sponsored no-confidence motion which was declared passed. He refused to disclose the nature of the investigation surrounding Charrandass, who has since sought refuge in Canada where he is a citizen. 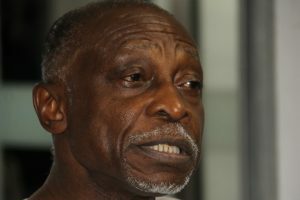 Commissioner James said the police are yet to contact Charrandass and did not say who lodged a report against the former AFC member that would warrant the investigation. “I cannot determine the credibility of the evidence but at this point, we’re gathering evidence,” James noted while declining to say whether the investigation surrounds bribery or gold smuggling of which Charrandass is also being accused. “A matter was reported to us of national security and importance. I would say that at this point in time, as I said, it’s a sensitive matter, please give due regard to that,” the police commissioner said. Meanwhile, Canadian High Commissioner to Guyana, Lilian Chatterjee has refused to comment on the investigation into an alleged breach of protocol involving one of her officers. “It is not the Canadian High Commission’s practice to comment on Consular cases involving Canadian citizens,” the Canadian envoy related to media operatives on the sidelines of the Guyana Police Officers’ Conference at State House on Thursday. The Guyana Civil Aviation Authority (GCAA) has since launched an investigation into the alleged breach of security protocol at the Eugene F. Correia International Airport on December 22, 2018, involving a mission security officer of the High Commission of Canada, Richard Beliveau. Beliveau reportedly escorted former Parliamentarian, Charrandass Persaud to his LIAT flight #LI 392 when he fled Guyana one day after voting in favour of a no-confidence motion against his government in the National Assembly. Reports are that there was a breach in protocol when a security pass was also issued to PPP supporter Peter Ramsaroop, to also accompany Persaud to the airport’s departure lounge. I demand they investigate the DEATH threats on Charrandas, minister of government made death threats, it's on tape and we know who. THOSE FRIGGIN CRIMINALS TOLD US 32<33 NOW THEY TELLING US THAT NATION SECURITY AT RISK!! WHAT IS AT RISK ARE THEIR PLANS FOR BIGGER HOUSES, NEW suvs AN DGIFS FOR PLENTY CHILD MOTHERS AND SWEETHOMEN. NOT TO FORGET RUM FOR THE NEEMAKARAM AND RUMJHAAAAAATAN. DAT IS THE RISK!!! DAT STINKING LIAR GREENWITCH WROTE THE CANADIANS SAYING NO THREATS WERE MADE WHEN THE WORLD WORLD LISTENING AND WATCHING THE THREATS. AND WE THOUGHT HOES WERE SHAMELESS. THESE CRIMINALS MAKE THEM LOOK LIKE MOTHER THERESA!!!! Dat nah important. Dem too busy searching fuh de suitcase filled wid money or gold or just dem tears. It appears that the APNU/AFC government wanted Charandass to remain in Guyana after the NCV so that they can asassinate him. That is the reason why they didn’t want him to leave the country and are asking the Ogle Airport authorities to end the protocol of giving out security passes. Any cane cutter can figure that one out. It also appears that Ramjhattan was the main news carrier for the APNU because just after the vote Ramjhattan was seen making phone calls while he was attending Charandass news conference. The Foreign Ministry has lodged a blistering protest with Canada over the alleged complicity by its High Commission in Guyana in an attempt to topple the David Granger-led administration after its diplomatic security officer accompanied former government parliamentarian Charrandas Persaud to a waiting plane hours after he voted to pass an opposition-sponsored no-confidence motion. “The evidence suggests that the High Commission and by extension, the sending State, are complicit in an attempt to overthrow a sitting government which was democratically elected,” states the diplomatic note to the Canadian Embassy here. Director-General of the Ministry of Foreign Affairs, Ambassador Audrey Jardine Waddell told Demerara Waves Online News on Friday that “there are some issues in terms of protocol arrangements and there is where we are now in terms of violation of protocol”. Canada’s High Commission to Guyana, Lilian Chatterjee confirmed that she met with Guyana’s Foreign Affairs Minister Carl Greenidge on Wednesday, but declined to speak on consular matters. Police Commissioner, Leslie James would only say investigators were probing a “matter of national security” in connection with Persaud who has since been recalled from the National Assembly and expelled from the Alliance For Change (AFC) party. Persaud, also a Canadian citizen, fled to Canada on December 22, 2018, hours after voting for the no-confidence motion filed by Opposition Leader and People’s Progressive Party (PPP) General Secretary, Bharrat Jagdeo. 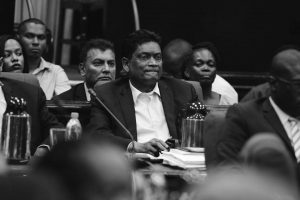 It was Persaud’s vote that secured the motion’s passage by a slim majority of 33 to 32 in the 65-member Parliament, a move that could see Guyanese going back to the polls almost one year earlier. Persaud’s vote is being challenged in the High Court on grounds of numerical accuracy and his eligibility, as a foreigner, to be a candidate and be a parliamentarian. The Eugene F. Correia International Airport has since confirmed that Beliveau and PPP member Peter Ramsaroop had obtained protocol passes to accompany Persaud to a Barbados-bound flight with connections to Canada. Persaud and Ramsaroop have also confirmed that protection was needed for Persaud because he had feared for his life. THEY ARE ACCUSING CANADA FOR TOPPLING THEM LAME DUCK GOVERNMENT. Damn, dem bais scratching the battam of every barrel. The actions of the Coalition government is beginning to look pathetic even I am beginning to feel sorry for them...…. NOT. Do you think that Leslie Williams (COP) will gather evidence and investigate Volga Lawrence for creating national insecurity by saying that only PNC people will get jobs or for threatening to kill an MP by pushing him over a bannister of Parliament? I think not. He is just doing the coalitions dirty work. The PPP should take the blame for elevating this corrupted man to the high ranks in the Police Force. Did you watch how corrupted he was when he testified before the Walter Rodney COI? Dragging Canada in will internationalize the issue. Den deh guh drag in Maduro, den Trump, den Putin. 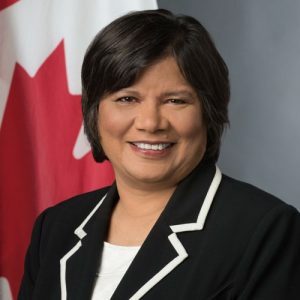 The Canadian Ambassador to Guyana has a duty to protect Canadian Citizens who have a fear for their lives and Ms. Chaterjee did her job. As well, with regards to her not saying anything else to the Guyana Press she I sent protecting the Canadian Citizen under the Privacy and Protection laws of Canada. Greenidge, is just making noise. Look at that face, what would you do if you see it in your neighbourhood - you better run for your life. Dem bais more hapless than I originally assessed. He is nothing to them dead but international recrimination and attention that they are despots. Mistreating him in a cell for a bit to satiate their anger may be more what they want. They cannot see as clearly as you because they are currently blinded by rage. What do you mean when you say that being dead means nothing to the coalition. He probably has more APNU/AFC inside secrets/information more than you and me would ever know. The Coalition is afraid that he will spill the beans. What devastating secrets would he have...pogroms against Indians? He conspired with jagdeo to bring the government down. He was within his right to do so. They think he betrayed them; the PPP thinks he is a saint. The reality for Guyanese that whatever the outcome the status quo remains...we are still ///***k..ed! Canada produced the fake ballots that assumably make the PPP lost and Canada is accused of helping to topple the government a mere three years after. WTF. Is Canada the middle man/woman for AB? All ah them batty paste up like garlic. Where are Carter and his center for Global democracy? Up to his batty? What about justice for Sawh and his family? Three years in government and the PNC brought no justice. Sawh and his family deserve justice too.